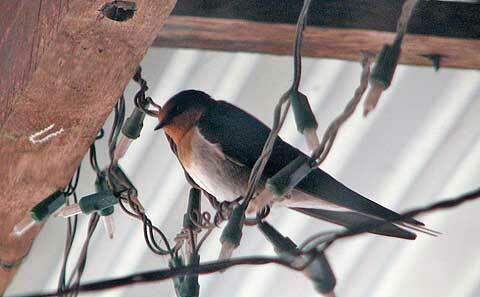 Must be spring; the swallows are back. Several are squeaking and doing aerobatics out there in the yard’s airspace, but two have claimed that of the verandah. Over my computer I watch them alight on the fairy light strings — just briefly. They sway a bit, peep to each other — and they’re off again. 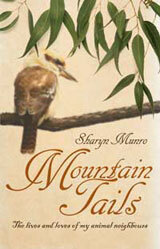 I haven’t found where they are nesting; the old one on the verandah rafter has not even been visited, or not so I’ve seen. I think it might be nearby and that the aerial maneouvres are to shoo off the magpies as much as to show off. 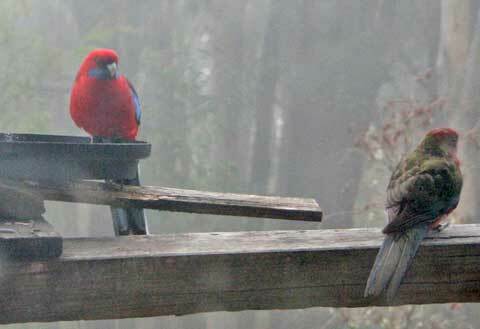 Today, I also had ‘rosellas in the mist’. The rosies haven’t been visiting the verandah, probably busy raising those green-backed babies, and I don’t know how they twigged that today I’d put out some birdseed, after about a month of none. I don’t like them to count on it. They were a welcome splash of colour.